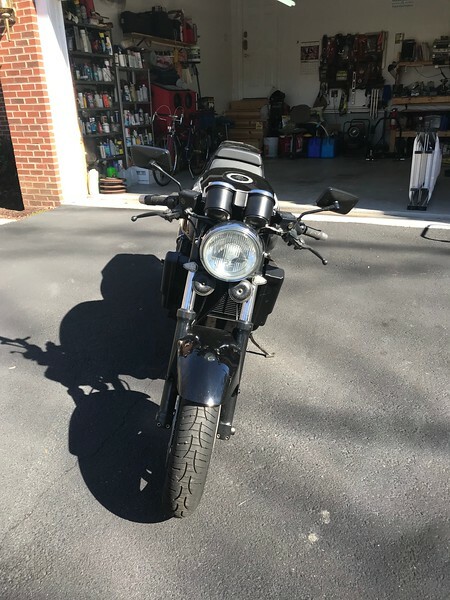 1995 Triumph Speedtriple for sale - DAMN Riders - No rules, Just ride! Please delete if not allowed. 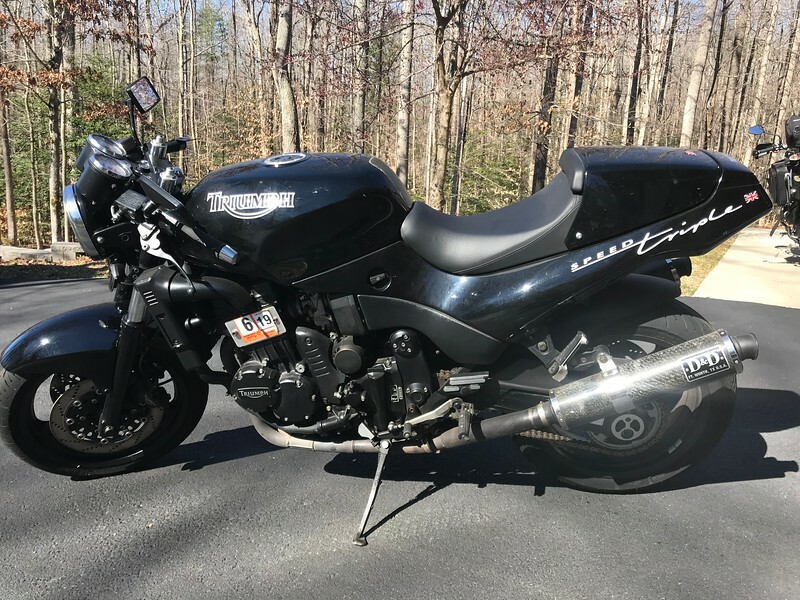 1995 Triumph Speed Triple 900 26,934 miles. Dropped down and custom bracket for Front LED Turn signals. Rear brake light with integrated turn signals, LED. Custom seat leather, with French stitching. Front and rear tires have less than 1000 miles. Michelin pilot road 4 2CT. Front and rear brake pads with about 1000 miles on them. Both front forks rebuilt less than three years ago. Coolant flushed and new thermostat two years ago. Brake fluids and clutch fluids flushed two years ago. New front, rear sprockets and new chain with about 1000 miles. Rear sprocket two teeth smaller. Oil and filter changed every fall regardless of miles. All three carbs rebuilt, cleaned and adjusted three years ago and zero ethanol fuel has been the only fuel used. Have three new floats with 6 new bowl gaskets. Two new oil filter kits and 1.5 liters of oil. 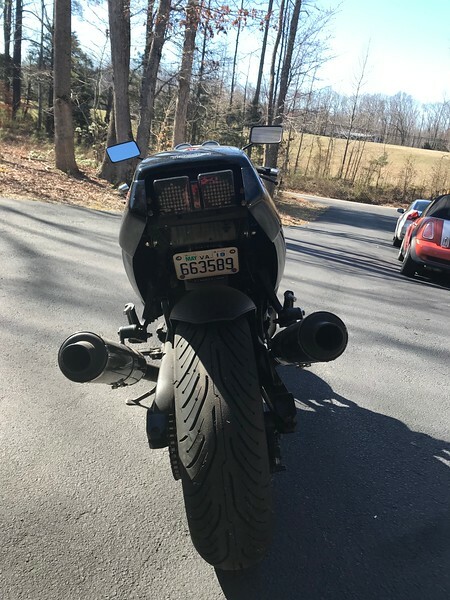 Three to two exhaust, with D&D mufflers. 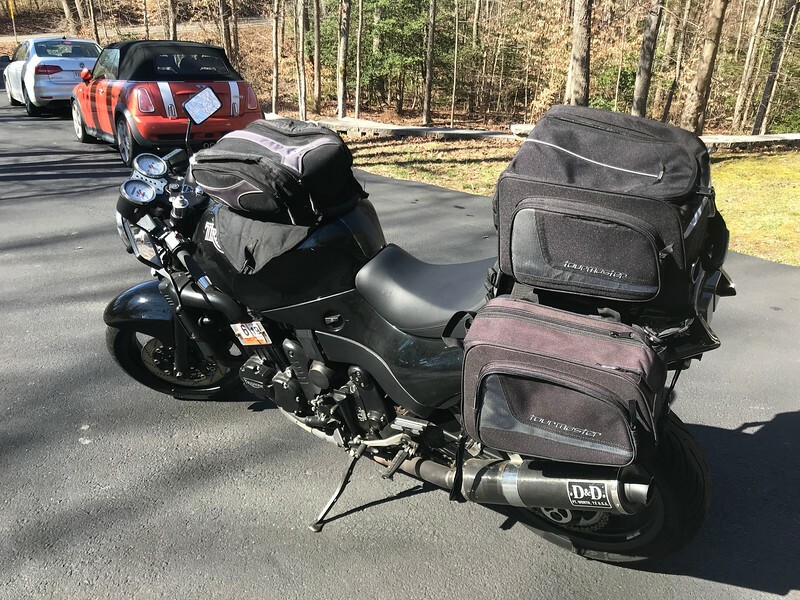 Full set of tour bags and tank bag included as well as front and rear stands for the higher price. Also included is a Hanes manual. One small dent on left side of tank, has been touched up and some small scratches on front of the tank. Small paint chip on top of the front fender. The tachometer and tripmeter no longer work, someone with more experience or skill may be able to fix. They are standard sized gauges. Will come with all the OEM parts if want to remove the custom stuff. The rear fender eliminated due to one signal lens broke and winter boredom. Asking 3,500 gets it all. I am willing to negotiate. Please text or e-mail for pics. My antiestablishment iPhone isn’t allowing me to upload any pictures. I’m here because you broke something. This is my brother's bike. It's clean/runs good. I'm hosting some pictures for him. Let me, or him, know if you'd like pictures of a specific part of it. 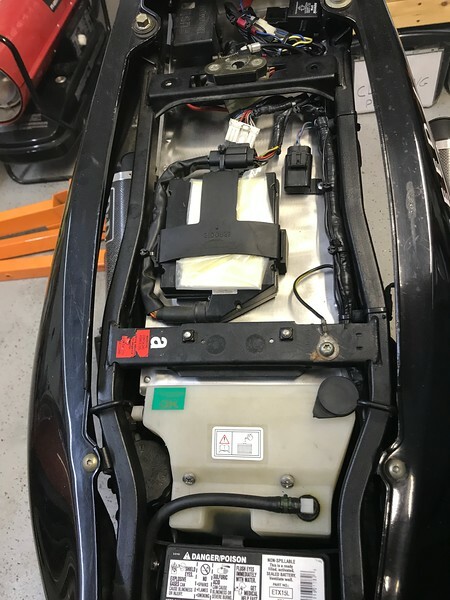 Those first generation SpeedTriples were pretty heavy if I remember (not really in a bad way). But were more like a naked sport touring bike. The SpeedTriple weighed the least for that generation at 209kg (460lbs) heavy by today’s standards but 23 years ago not bad I’d guess. This was my first “go fast” bike and it did that well for me. I hope you didnt take my comment as negative. Im not really a fan of repli-racer sport bikes but I DO like sport touring bikes. 16-17 years ago I knew a guy who had one. He was comparing it to the early 2000’s Yamaha R1 when talking about it’s weight. He had no trouble at all keeping up with guys riding the latest sportbikes of the early 2000’s. He could wheelie the crap out of that thing too! Nope, not negative. Just brought up a good point at it’s weight and just wanted to shed some light on it.